A couple of months ago I wrote a post about making the best of a small space with organization and decorating. And today I am tackling the mountain I had left for another day then: My Closet! I’m in the midst of a deadlines at my university, when I’m not documenting my adventures in travel and fashion I’m pursuing a degree in French and Management at the University of St Andrews. When I’m lacking study inspiration, I turn to organizing my CV, my room or as happened on Tuesday my wardrobe. After all if it’s productive it doesn’t really count as procrastination right? 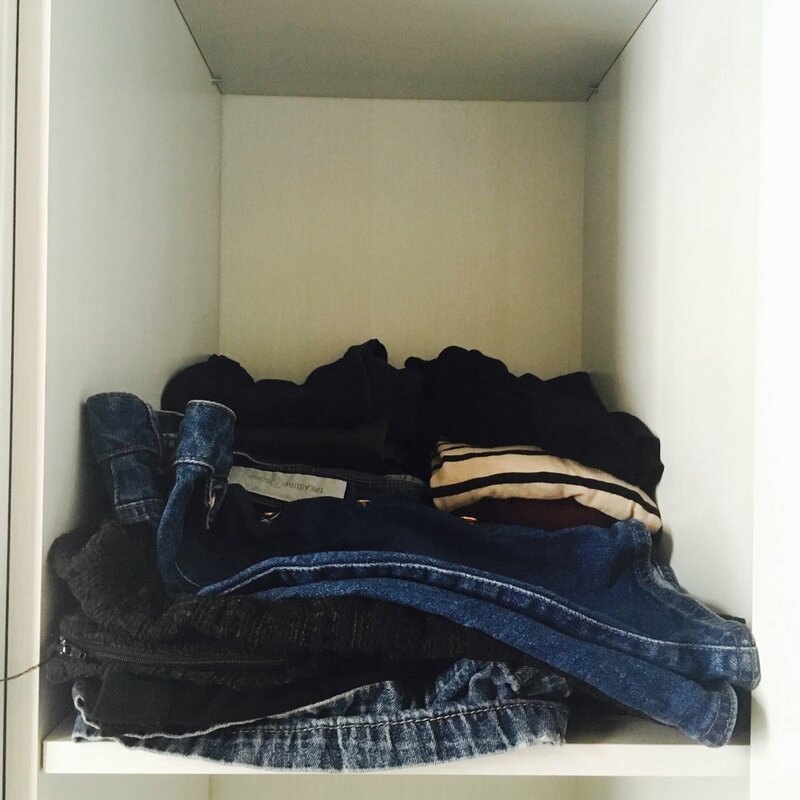 For me the first move in organizing my closet was a bit of step backwards in neatness: onto my bed went a massive pile of clothes. My rule for giving my wardrobe a re-haul is that if I’ve not wanted to wear an item for more than 8 months, to the charity shops it goes! With spring blooming in Scotland it was also a chance to sort my new off the shoulder tops and flirty sundresses and stow away my beloved fur coat away. My shelves got whipped into shape with my favorite, prettiest items in the front and the cozy but less than glamorous jumpers tucked in the back. 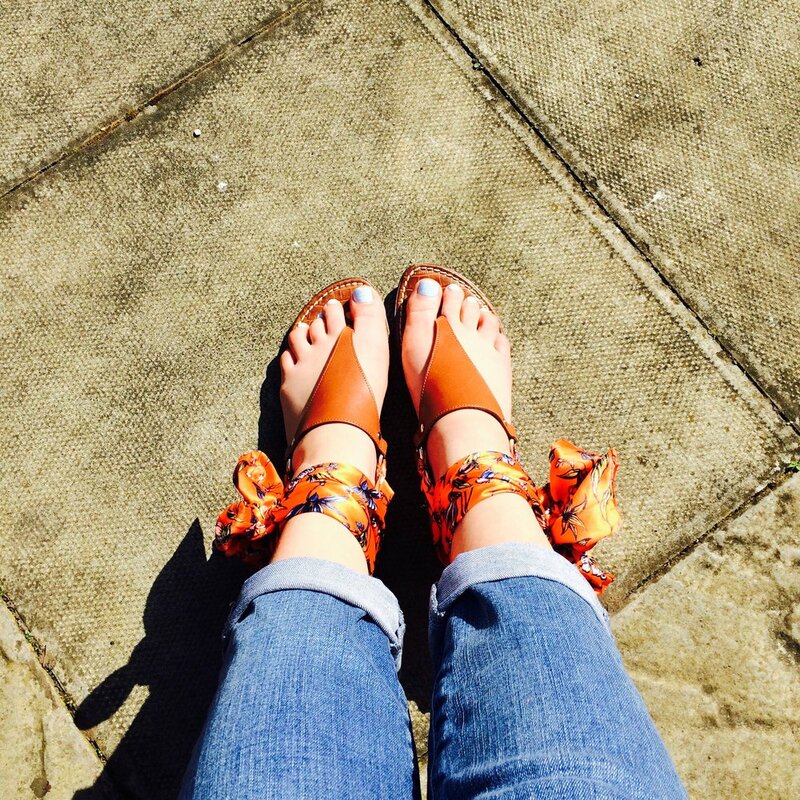 I’m hoping for more sunshine and so my gorgeous new Sam Edelman sandals went in front along with loafers and other lovely shoes. While I’m not one to have my closet color coded (according to my military neat father I operate on organized chaos) I separated my winter/fall and spring/summer wear with my formal dresses. I’m so looking forward to falling in love with old pieces again and incorporating new finds in. Just today I wore a beloved dusty rose velvet blazer with my new pair of pink TopShop sunnies. Spring is such a gorgeous season with all of the trees and flowers coming back to life in a brilliant array, and in my opinion it’s the perfect time to breathe some new life into one’s wardrobe! So happy you enjoyed, alas it would require a transatlantic flight!